The serviced accommodation business is not a flash in the pan, and it’s no longer the risk-riddled property strategy it may once have been. Demand for serviced accommodation is growing, and business is booming. How Can You Succeed with Serviced Accommodation Properties? Hotels are no longer the default choice for temporary stays, and serviced accommodation properties are now seen as a stylish and comfortable alternative to traditional hospitality accommodation. They appeal to professionals seeking a homelier place to lay their heads while travelling for work, and to families seeking a break in a different city who wish to cook the meals please and desire the comfort of a homely setting. The number of serviced accommodation property units in Europe has more than doubled in the space of 8 years, with numbers rocketing from 43,687 in 2008 to 114,021 in 2016. In the UK, around 19,000 serviced apartment units were available in 2016, and the winter 2016/17 edition of Savills’ report The UK Extended Stay Market showed that there are due to be over 2,600 serviced accommodation property units delivered by the end of 2017 – a 13% increase. Serviced accommodation property units are ripe for development and are rapidly expanding across the UK – but how should a property developer approach the serviced accommodation niche? And how can property developers just starting to rent out serviced accommodation head for success? One way that serviced accommodation is strongly differentiated from other kinds of property investment is the opportunity to “wow” guests with extra services. These can be designed to make their stay extra convenient, such as free airport transfers or food being readily stocked up in the fridge upon arrival, or more luxurious offerings such as chauffeur service, or champagne and flowers being laid out in the room. Cleaning services are also important, and many guests will consider these an essential feature of a serviced accommodation property stay. 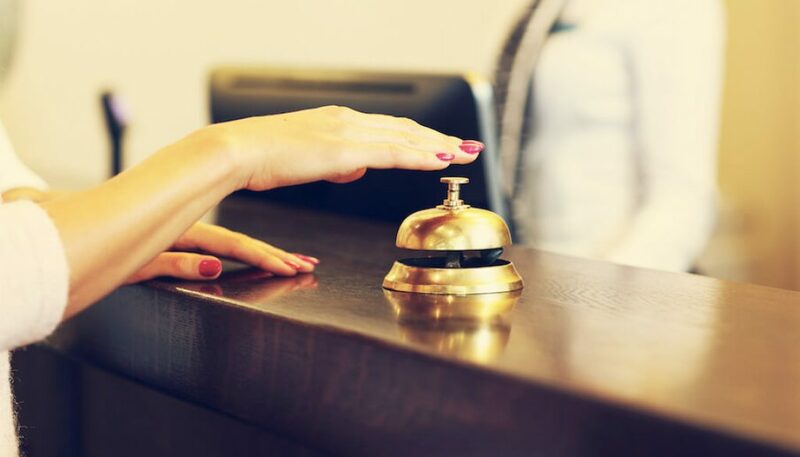 While serviced accommodation is not the same as a hotel stay, factors such as offering a concierge or a reception desk at all times are appealing, reassuring features. Ensuring that an employee remains on-site 24 hours a day can remove a guest’s stress at the prospect of visiting a new city. A reception clerk or a concierge can provide a deeper knowledge of the local area and its amenities, as well as answer any questions that guests may have about their accommodation. According to the Global Service Apartments Industry Reports, by the Apartment Service, 79% of consumers now value online reviews as highly as personal recommendations, and 80% of travellers use the internet to plan their trips. Guests may be staying for longer periods in serviced accommodation, so many will want to research their accommodation more closely. Business owners will often send their employees to a serviced apartment, so they need to consider whether their staff are going to be able to get their work done – and the best way to do this is by searching online to see what other guests are saying about a place. This is linked to the online feedback comment above: contact guests after they have stayed with you, seeking ways to improve your future guests’ experiences. By offering a discount, a voucher, or some other low-cost incentive for a guest to review your accommodation or fill out a questionnaire, you can learn from your guests’ experiences, simultaneously taking their comments on board and gaining precious online reviews. This also serves to increase your website’s SEO and your accommodation’s online credibility. Guests love choice, and if they are considering longer stays at your serviced accommodation they may be more likely to stay if you provide an added incentive for doing so, such as lower rates for stays over a month. By offering short- and long-term rental options, differentiating the prices and services provided between them, you can attract a variety of customers for both kinds of rental term, thereby reducing the likelihood of holding an empty property. Keep an eye on both the hotel industry, which serviced accommodation is disrupting, and the moves of your serviced accommodation competitors. While the serviced accommodation business has been running for years now, the demand for such properties has risen recently and is currently higher than the availability, and many property investors are only now catching on to the potential for such accommodation. The current boom means that trends are adjusting and altering at a faster rate than in other market niches, and what is popular in one area and at one price range may differ in other places and at other rates. For this reason, keep abreast of industry standards and opportunities in both the traditional hospitality world and the serviced accommodation market, as they are likely to continue to affect each other. Feedback suggests that customers are paying closer attention to accredited accommodation, possibly due to the idea that those running serviced accommodation properties are less accustomed to the hospitality industry than established hotels and hostels. Understand compliance and legislation, follow the rules you are obliged to, learn the insurance cover you need to consider and obtain the right documents. Location is particularly essential when it comes to serviced accommodation, so perform your research thoroughly. Ask yourself: are there attractions and/or business areas in the vicinity? Are they easily accessible? Are there bars, cafes, restaurants, and shops nearby? Guests staying in serviced accommodation are likely to prioritise convenience and security, so make sure that you can give your target market everything they expect from your accommodation, and more. As a side note, you will want to have CCTV installed, for that extra level of security that serviced accommodation users expect. How are you going to appeal to your target customers? Will you use social media, online adverts, and print ads? These are just a few of the methods you may use to attract the attention of future guests, as your marketing strategy will depend on your target market. You will want to put some intensive research into getting your brand and your property under the noses of potential customers. If you have a website, make sure that it is responsive to any handheld devices and that your SEO targets effective search terms. By knowing who you are appealing to and perhaps even creating an “ideal customer” profile, you put yourself in a better position to know details such as the price that your customers are willing to pay and the accommodation requirements they are likely to have. Put in your due diligence to define the kind of clients who are be looking for accommodation near your property, or alternatively, research an area that is popular with the client-type(s) who best suit your budget and your business style, and seek out a suitable property in that area. There are many pros and cons when it comes to serviced accommodation, and you will of course need to weigh these up before moving into this niche. The amount you can charge per week and per month far exceeds what you can realistically charge for a 6-month contract in a traditional buy-to-let scenario, but without the necessity for long-term contracts you risk having an empty property for some of the year. There is also the consideration of the extra expenses if you are going to invest in staff being present 24/7, as well as the initial outlay of extra security equipment, insurance, etc. If you decide to pursue serviced accommodation, start small by converting just one or two properties before deciding whether you wish to expand further. Serviced accommodation continues to disrupt the hospitality industry, so it’s an exciting time to investigate making money in such an innovative way. Put in your due diligence, define whether the serviced accommodation business is for you, and then, if it is, take the plunge! Learn the 44 most closely guarded property secrets here. Learn from a buy-to-let property expert, with plenty of advice applicable to the serviced accommodation market, here.